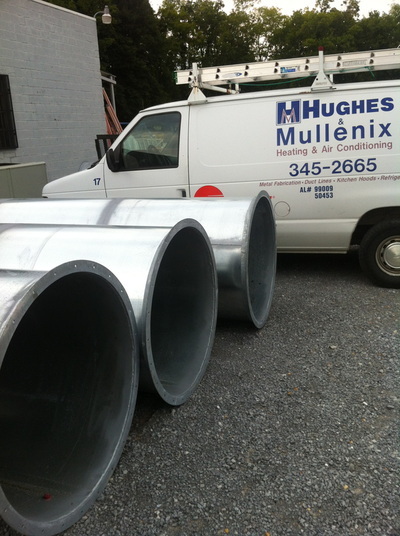 At Hughes & Mullenix we offer complete residential and commercial HVAC services including heating and air conditioning sales and installation, as well maintenance and repair for your air conditioner and heater. We service all brands and we install gas and electric systems from Trane and other manufacturers. 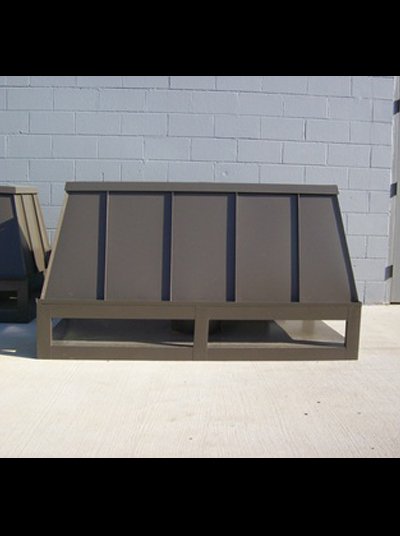 We also custom manufacture specialty metal products for your home. Your satisfaction is our priority. We provide fast and friendly service and our highly-skilled technicians regularly attend factory training to stay current with the latest technology. See what others have said about our service. 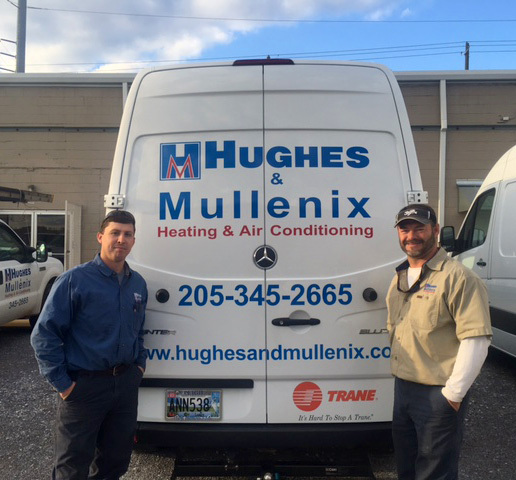 At Hughes & Mullenix, we’re your home heating and air conditioning experts. Count on us for installation and service of your air conditioner and heating system. Rooms or areas that are uneven in temperature. Certain rooms are too hot or cold? Humidity issues? Muggy feel to the air even though the indoor temperature may be right. Static during the winter? Pollen or other irritants or allergies? 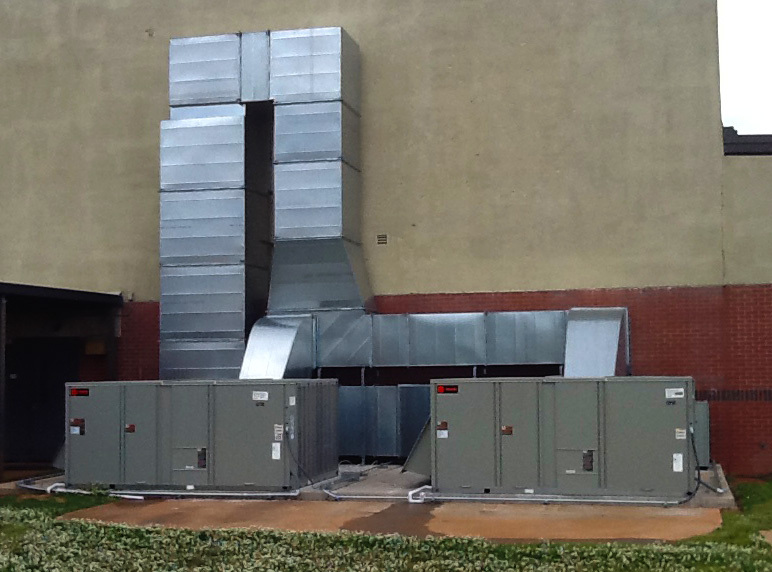 If you are experiencing any of these issues in your home, you need an HVAC analysis. Determine the proper unit measurements for your home. 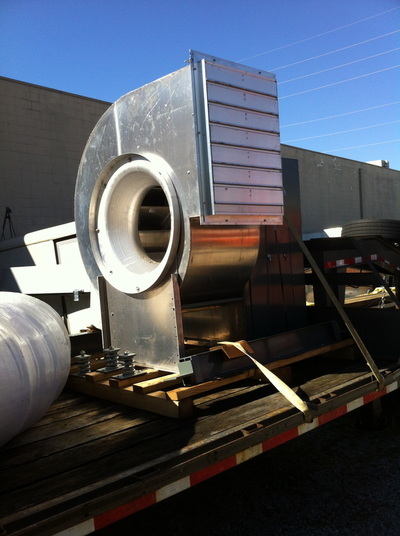 Evaluate the efficiency and longevity of the ductwork currently in your home. 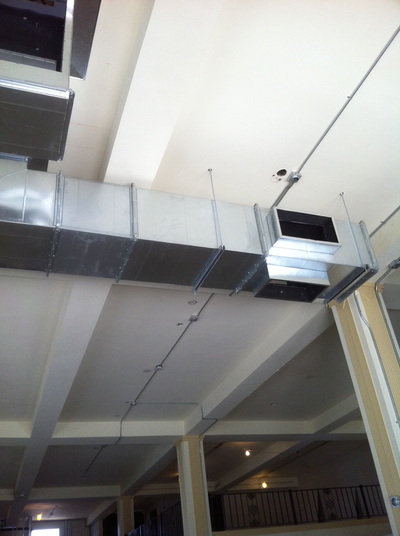 Provide an on-site estimate of what the necessary upgrades to your ventilation and filtration system would cost. Analyze blueprints of a future dwelling to determine how the planned heating and air conditioning system will work before the building is ever built. Use special software to show how different construction materials, windows, doors, etc. will affect efficiency and operating costs in the home. Let our pros serve all your home HVAC needs. Contact us today for your free consultation! We love serving local businesses, and we have years of experience in commercial heating and air conditioning and commercial refrigeration. We can install the appropriate air conditioner and heating system, repair it, and maintain it for you with quarterly maintenance visits. At these visits, we change filters, check refrigeration levels, oil and clean the units, and ensure proper functioning of the entire system. Is your business in need of metal products? 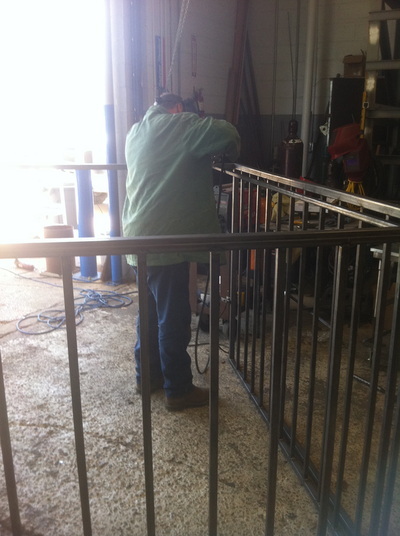 Check out our specialty metalwork, especially for commercial and residential kitchens! Trust locally-owned Hughes & Mullenix, we’re proud of the integrity of our staff and the quality of our work. Contact us today! 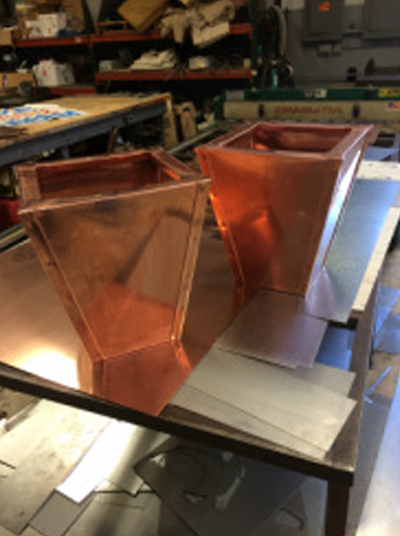 Kitchen metalwork is a large part of our specialty metals products. 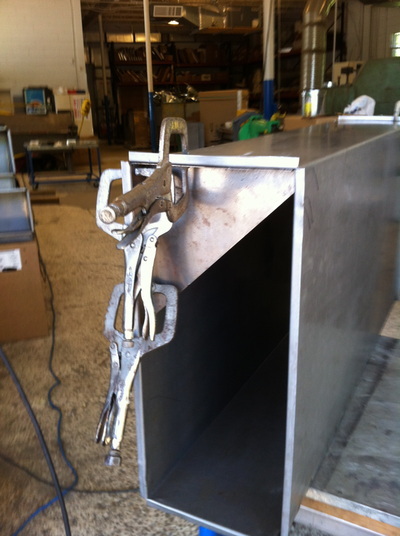 We build oven hoods, exhaust ductwork, countertops, table tops, backsplashes, and venting. Hughes & Mullenix specialty metals products can lend durability and aesthetic appeal to any kitchen or building, residential or commercial. Contact us for a free consultation. Customers with Service Agreements receive a discount on Service Calls! 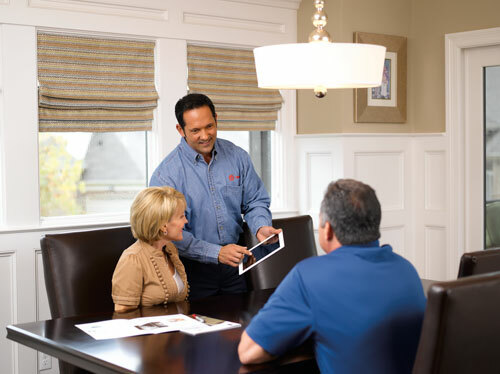 Everyone agrees that routine maintenance and inspection aid in prolonging the life and efficiency of your air conditioner and heating system. Most manufacturers require documented annual maintenance to keep warranties in force. Clean outdoor coil. This may not be needed on every visit, but if we see dirt starting to build we will clean it with approve cleaners. This is done at least once during the year. Replace filter. We keep your filter size in our records and bring the filter with us. Check operation of all accessories. Filtration systems, Dehumidifiers, Humidifiers and UV lights need periodic checks as well. Check all electrical connections. All systems vibrate at least a little. Electrical connections can become loose over time. Check refrigerant levels. Even tiny leaks will cause loss of efficiency. Additional systems are only $85.00 per year. Listed accessories extra. 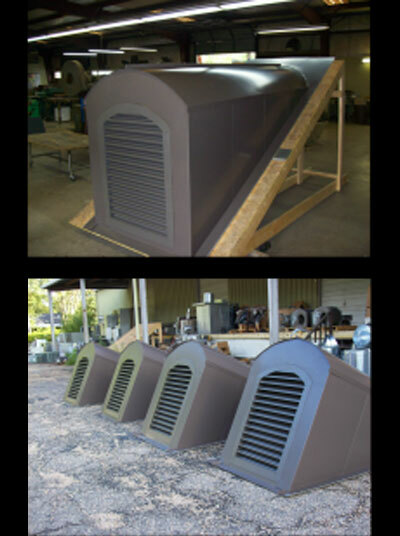 Contact us today for more information and pricing for additional systems and accessory prices.